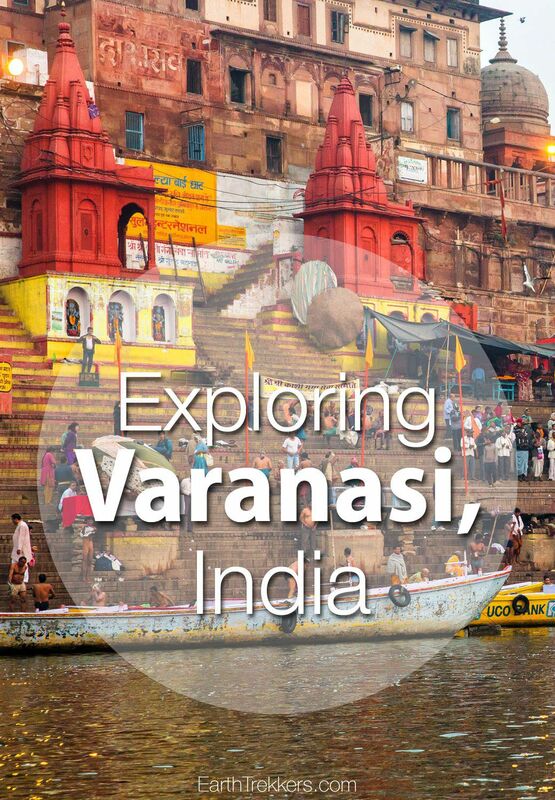 Varanasi, also known as Benares, is the spiritual capital of India. 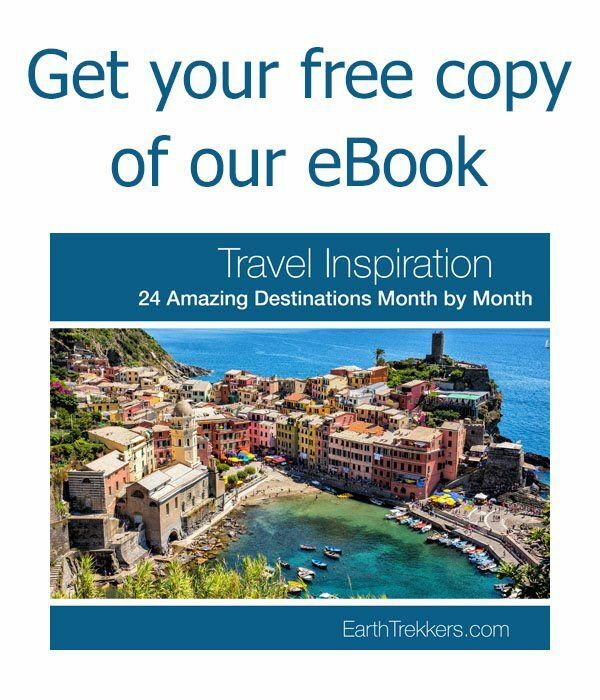 This is one of the world’s oldest continually inhabited cities, dating back to the 11th century B.C. 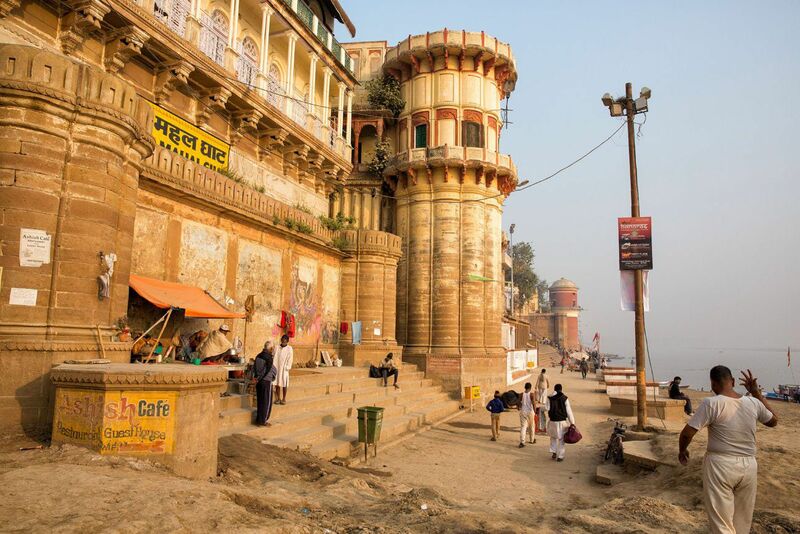 Varanasi is a city of pilgrimage for many Hindu and Jain people. 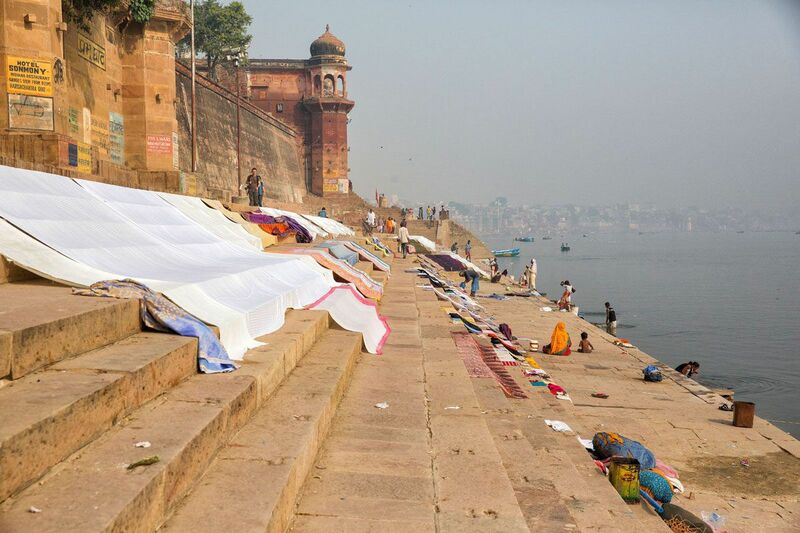 It is auspicious to die here and many people are brought here to be cremated right along the water’s edge. 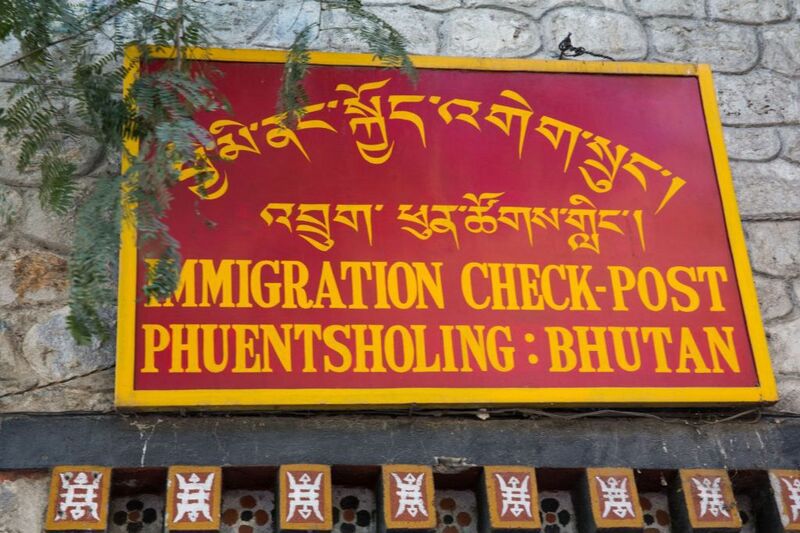 The water is believed to be holy and people come here not only to be cremated, but also to swim, pray, perform religious rituals, and even do laundry. This is a city that is “in your face,” chaotic, and very indiscreet. We spent three very memorable days here. 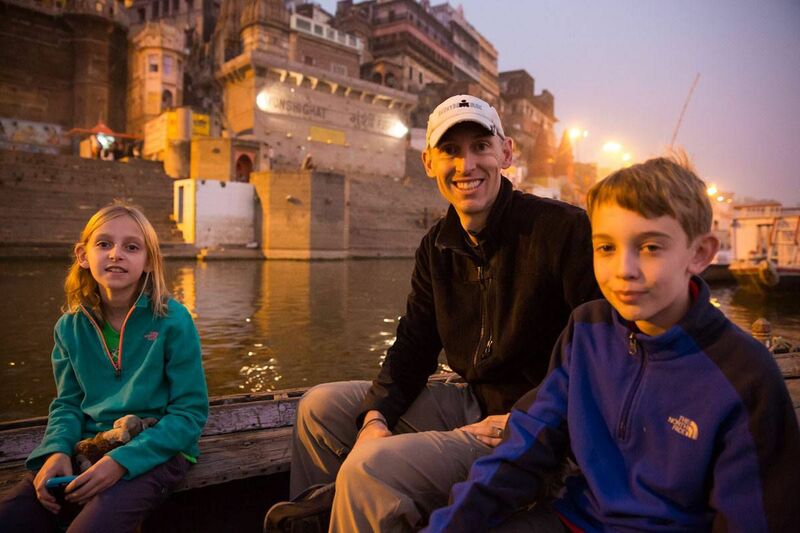 Being in Varanasi, while not always a pleasant experience, was one of the most culturally rich experiences our family had while in India. So, What is a Ghat? 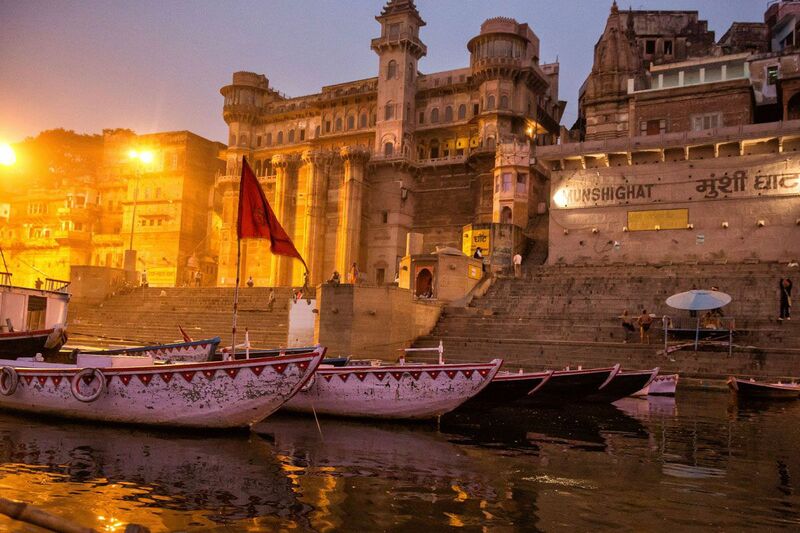 The Ganges River, one of the most famous rivers in the world, is the lifeline that runs through Varanasi. Along a span of several kilometers are ghats, embankments made of concrete steps where pilgrims perform religious rituals. 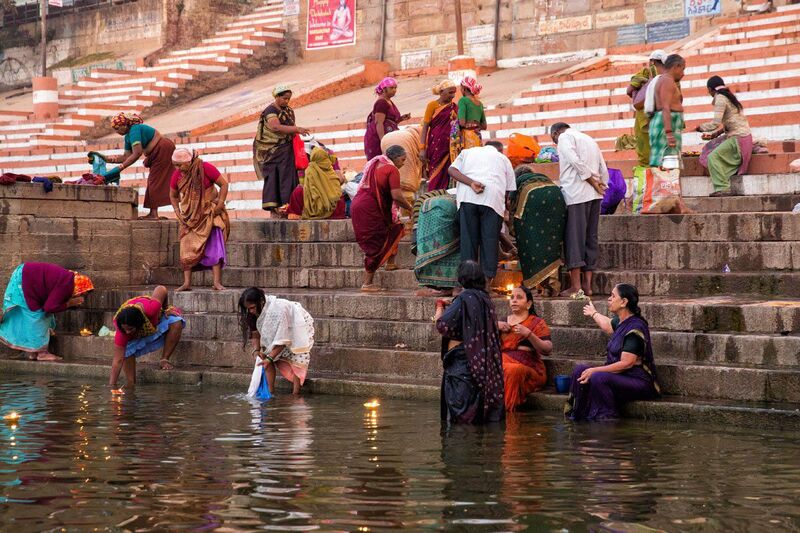 Many ghats are used for ablutions but there are several designated for cremations. We saw our first Hindu cremation while in Kathmandu. 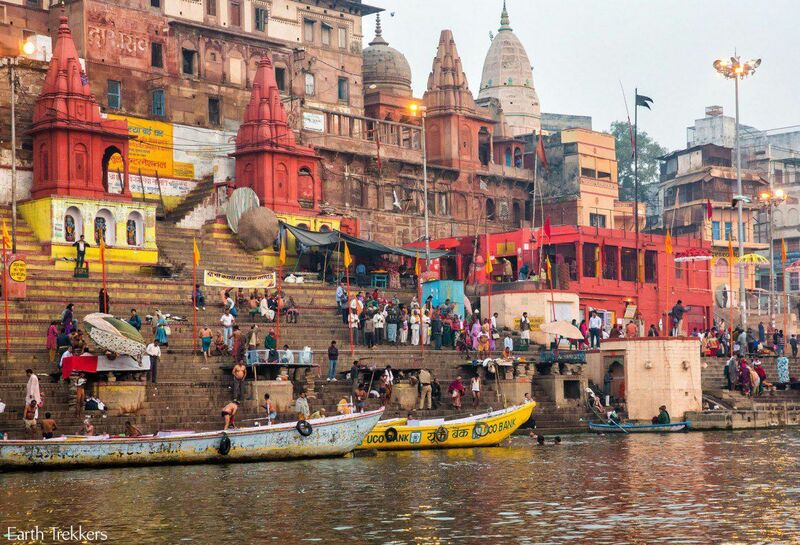 In Varanasi, 300 bodies a day are cremated. Loved ones shroud the dead body, carry it to a cremation ghat, where the body is then covered with mango wood or sandalwood. For three hours the body is burned, then the remains, mostly ash but also some of the larger bones like the pelvis and ribcage, are swept into the river. The four of us watched as several bodies were burning. It was a very surreal experience. I do not have any photos of cremations since photography is prohibited at these burning ghats. 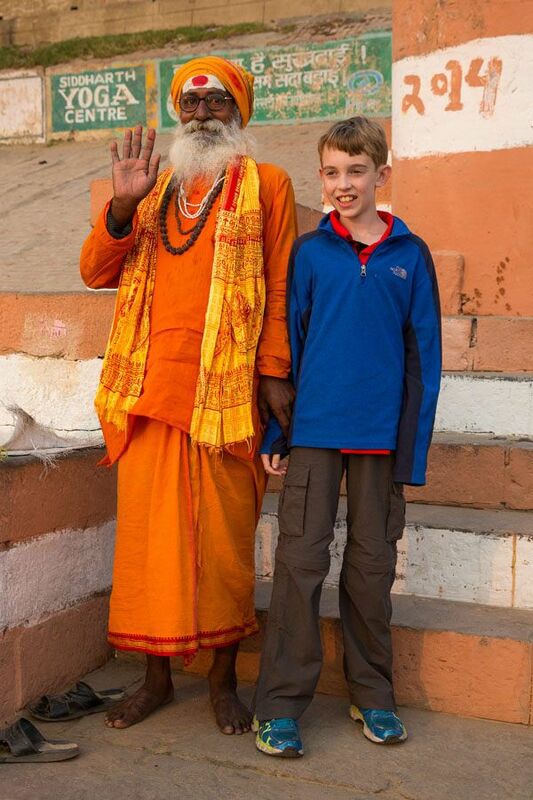 Our first walk along the Ganges was a wild experience. The almost constant attention from touts was overwhelming. We were constantly refusing requests from boatmen to take a boat trip on the river since we were saving that for sunrise tomorrow. Holy men were trying to attract our attention for donations and men were trying to sell us trinkets. Still, walking here was much more peaceful than walking through the streets of Varanasi. We watched as cows grazed along the water’s edge. 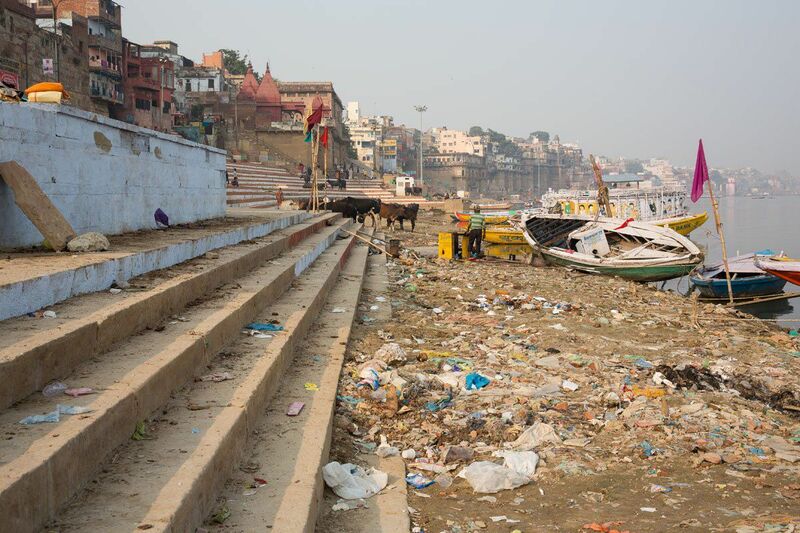 Tim and I were shocked at the amount of trash along the Ganges River. How can India’s most religious city be so filthy? 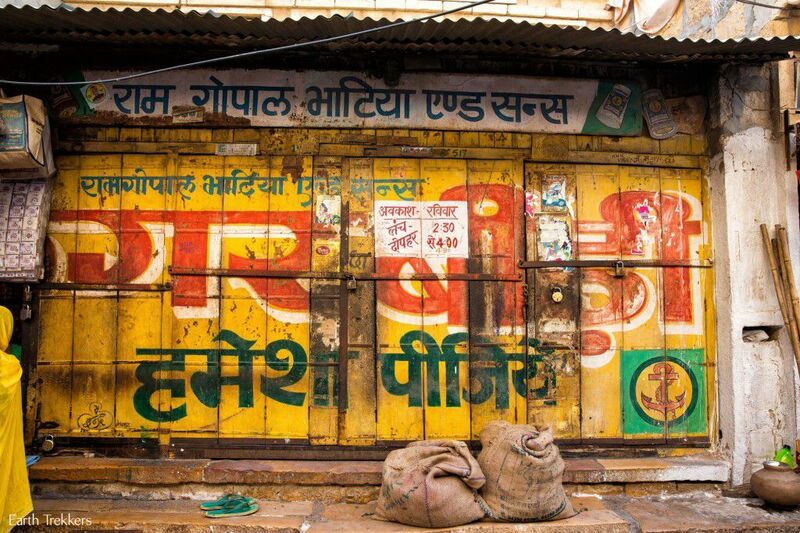 Public urination is not at all uncommon in India. 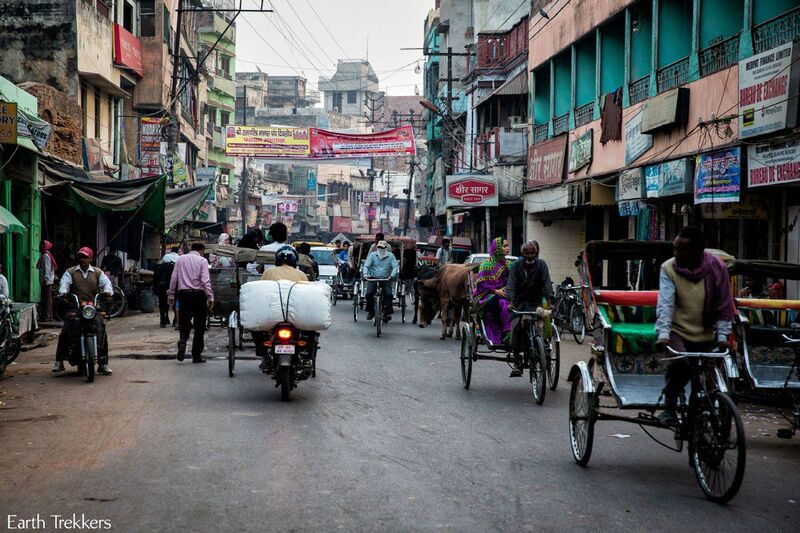 We saw way too many men urinating in the streets of India during our five weeks here. 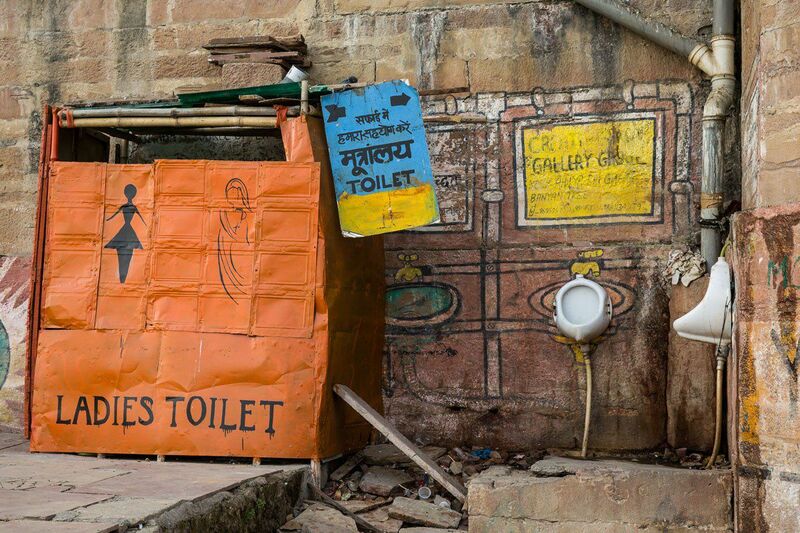 At least in Varanasi there were outdoor urinals for the men and a slightly enclosed toilet for women. 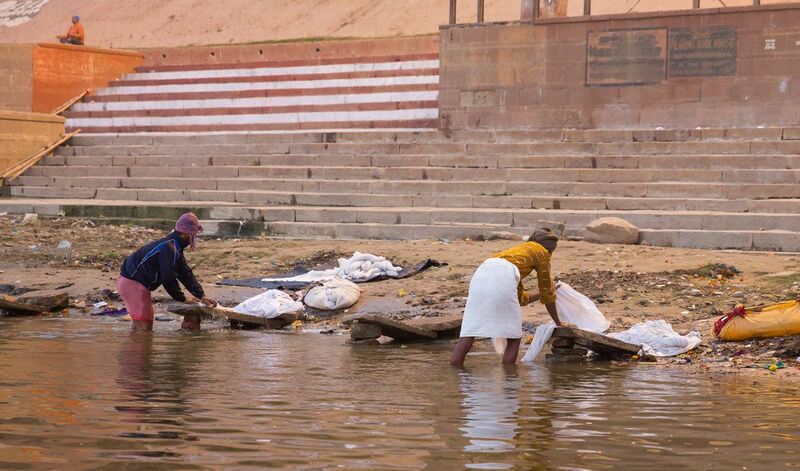 This holiest of rivers, with it’s toxic runoff from trash, cows, and cremations, is the place where Hindus come to wash away their sins. We saw men completely submerging themselves under water and swimming away from shore. I wish I had their immune system! We saw lots of laundry being washed here as well. I couldn’t imagine washing my clothes in this river and then spreading them out on the dirty concrete to dry. 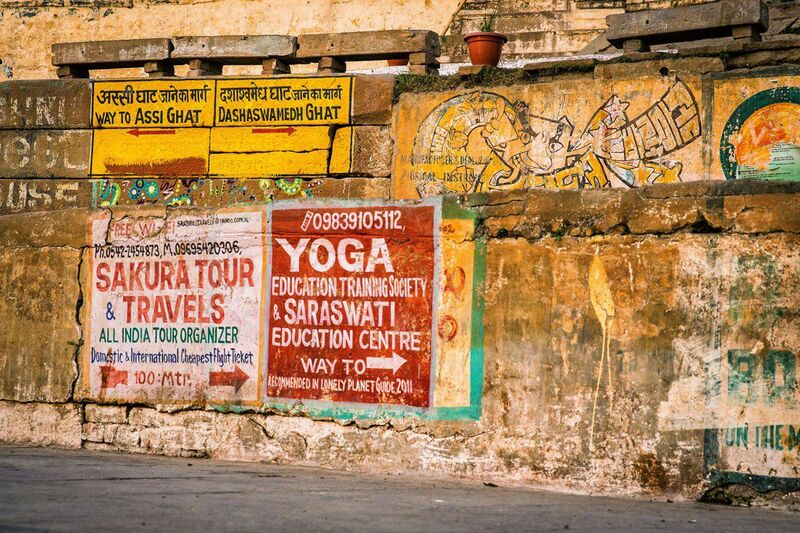 Signs for restaurants and yoga centers were painted everywhere on the concrete walls of the ghats. I loved seeing the boats floating in the river. 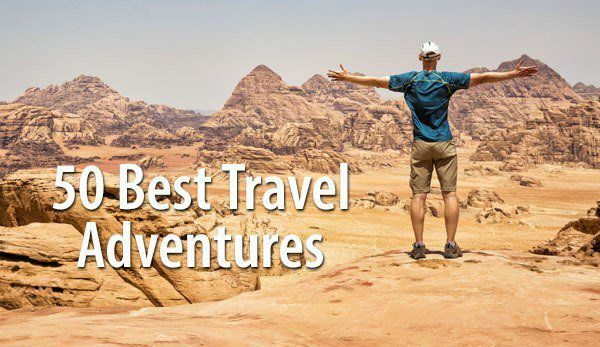 Walking is our favorite form of transportation while traveling. If something is only 20 minutes away we prefer to walk there. 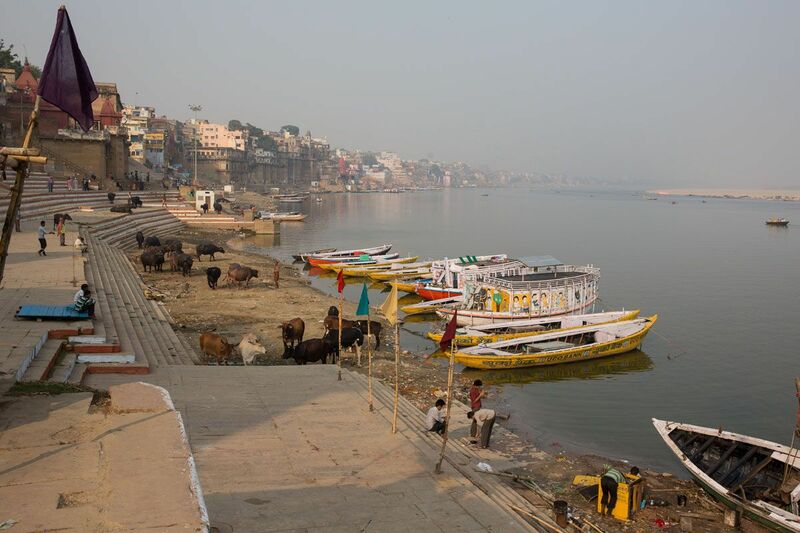 That was until we got to Varanasi. Walking through the streets of this city is completely frustrating. We were staying in town, away from the ghats, which meant we had to do a lot of walking. These streets, with the traffic, the dust in the air, and the unrelentless honking, quickly wore us down. Very persistent rickshaw drivers would follow us down the street, pestering us to hire them. Eventually we did, just so we wouldn’t have to listen to them anymore. For less than one dollar a cycle rickshaw driver transported our family of four 20 minutes back to our hotel. 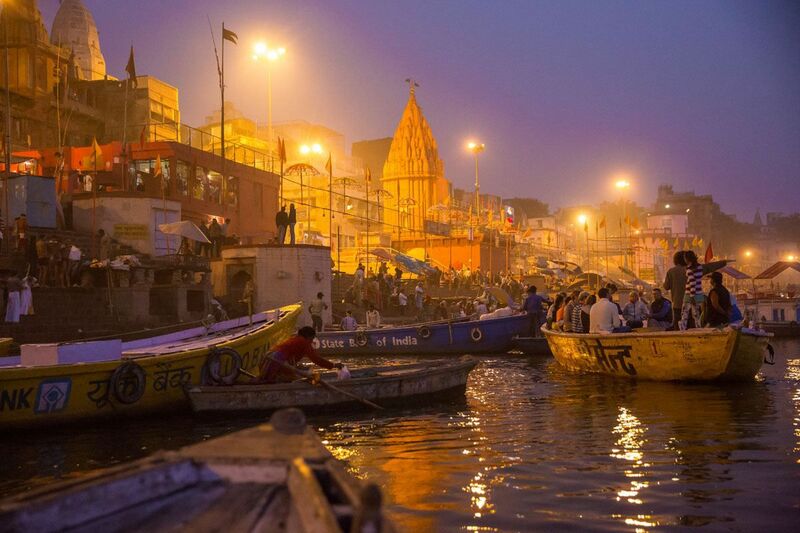 The quintessential experience when visiting Varanasi is a sunrise boat trip on the Ganges River. At 5:30 am we were strolling out to the ghats with the local people, who were on their way to bathe and preform puja’s, or prayers, along the water’s edge. 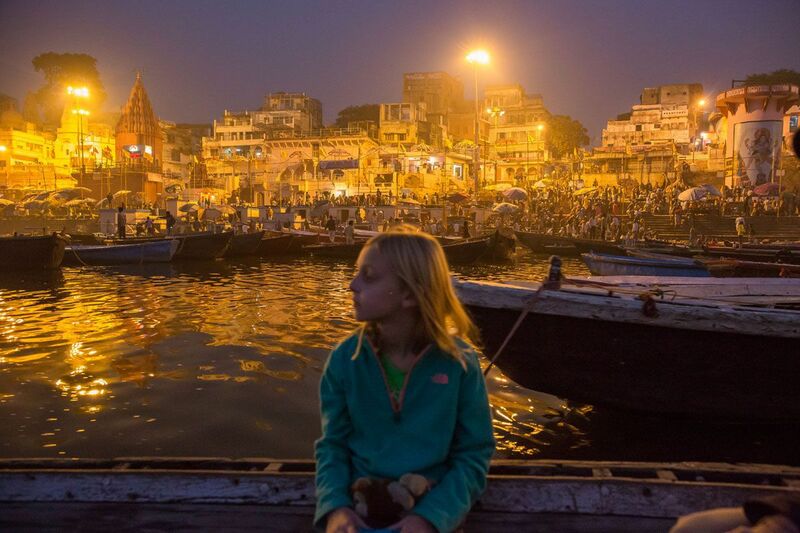 Our trip on the Ganges began just before the sun came up. We bought small floating dishes filled with marigolds and a candle. 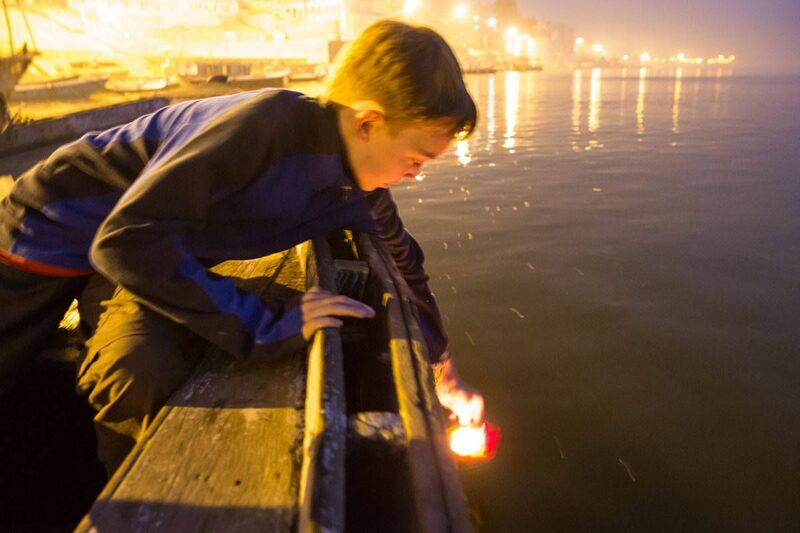 We each made a wish and floated these on the Ganges River. Our boat trip lasted one hour. We passed by many of the same ghats we walked on yesterday. At sunrise, there were many more people here. Music is playing, people are happy and festive, and this place becomes one of the world’s best places for people watching. Being on the Ganges at sunrise was an amazing experience. We watched as more people did laundry. From what we saw, very little soap was used. The lack of soap was made up for by the very violent slapping of the clothing against the rocks. These linens were twisted up and beaten on the rocks with amazing force over and over again. The clothes may not be any cleaner once these men were done with them but I have no doubt that they were a lot more threadbare! 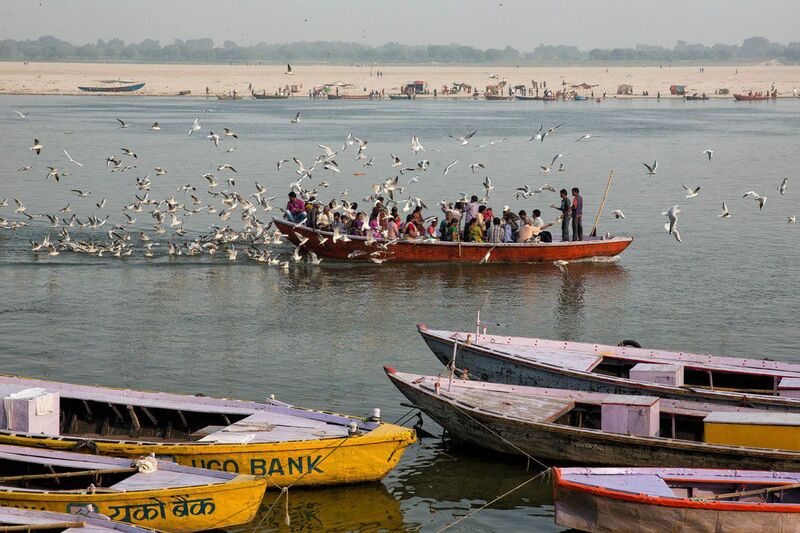 Men and women, in separate groups, made their way down to the Ganges River for bathing. 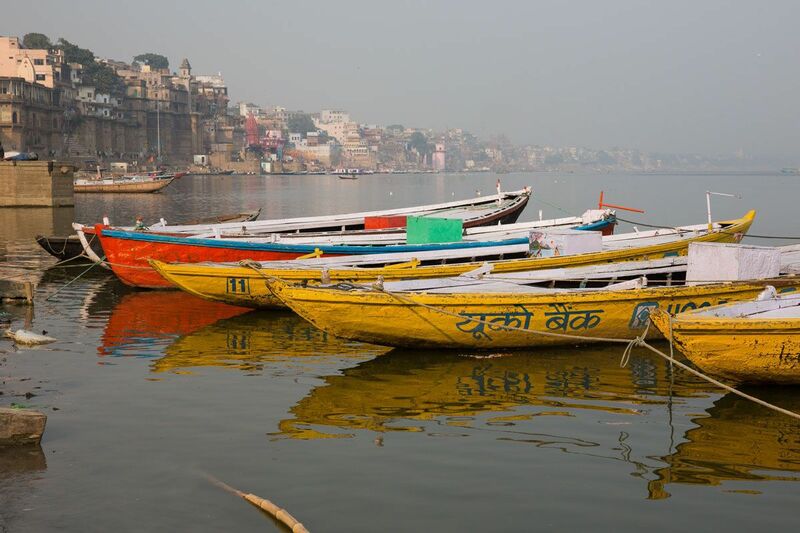 The sunrise cruise on the Ganges River was the highlight of our visit to Varanasi. 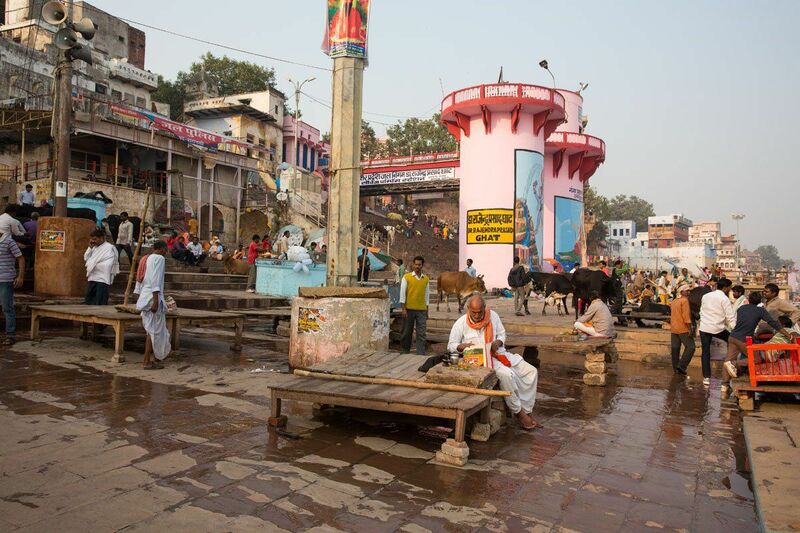 Even though it was not the most pleasant experience at times, Tim and I felt very fortunate to have visited Varanasi. We got to see one of the world’s most culturally important cities and witness this place that embraces death and puts it right in your face. 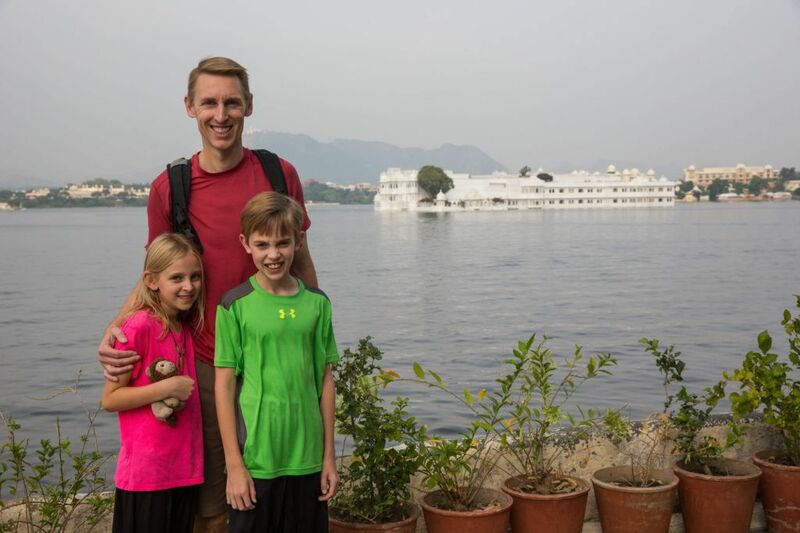 Tyler and Kara found it fascinating as well, particularly the activity along the ghats. From here we have just a few days remaining in India. 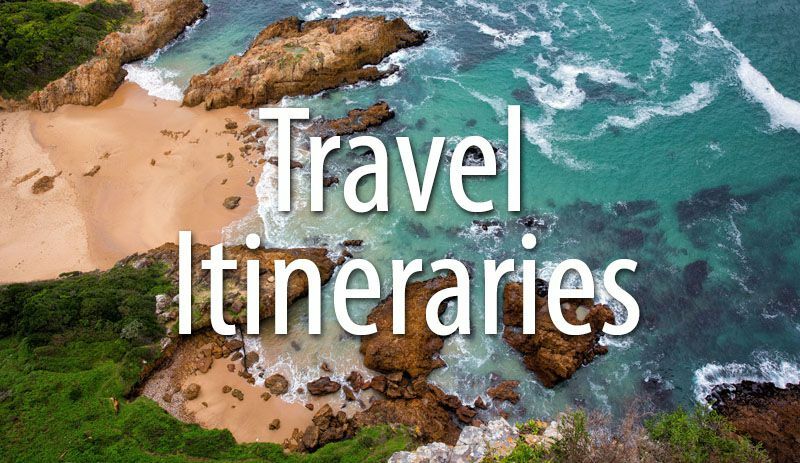 Next we travel to Khajuraho and then we head to Kolkata, where we will be spending Thanksgiving. 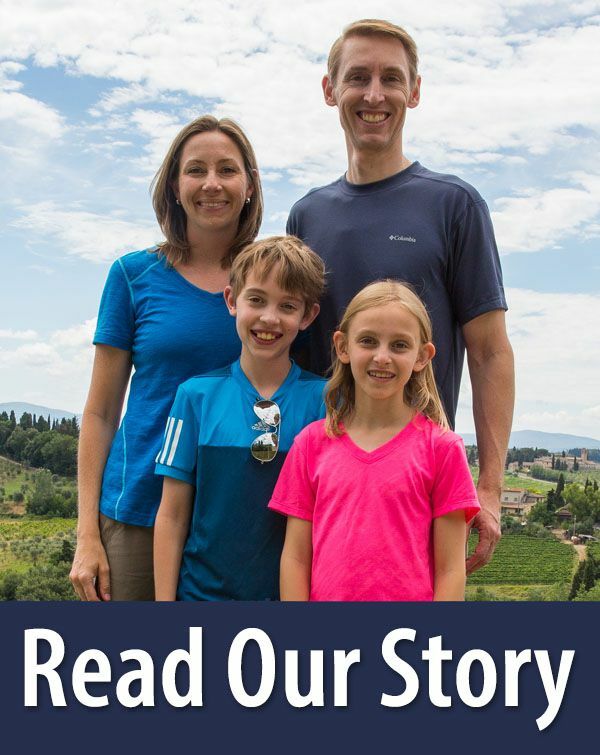 Thanks to your family for providing a fascinating view of the world. 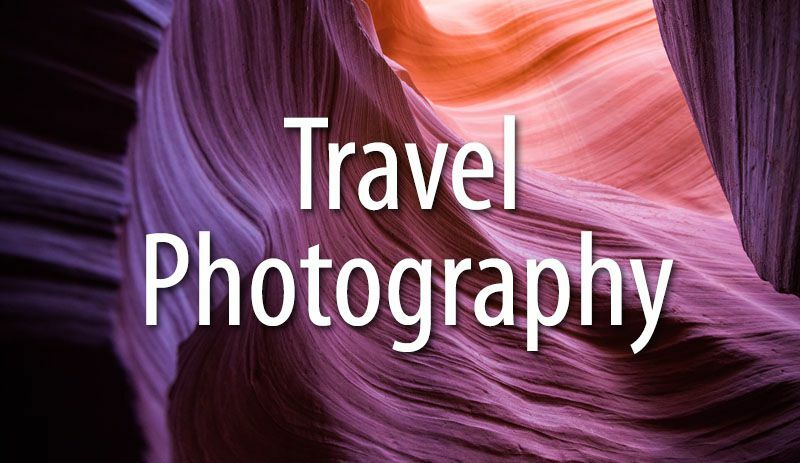 It can’t be easy to post such quality daily reviews and outstanding pictures. 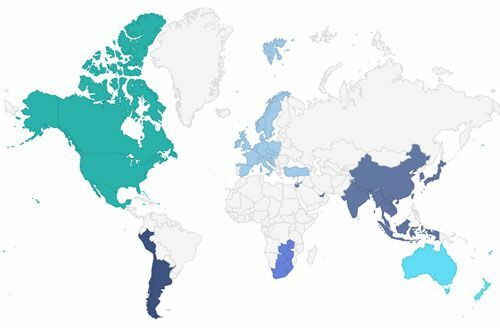 You work is appreciated… even the short videos! Happy Thanksgiving from Silver Spring Maryland. Happy Thanksgiving! 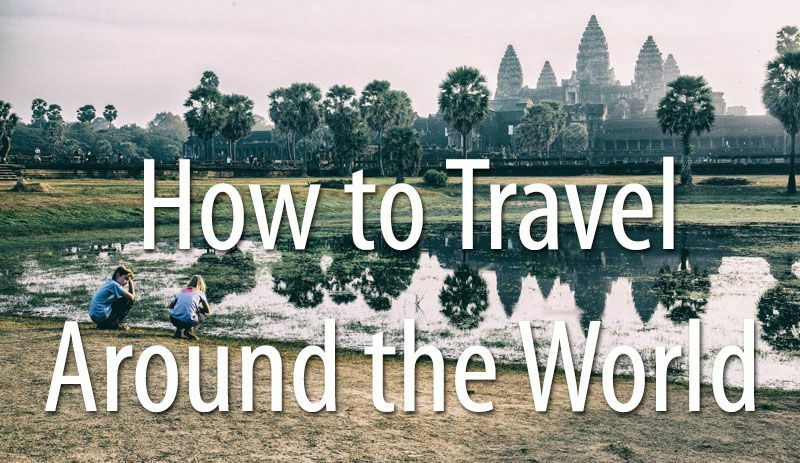 Thank you for another post that tells of amazing cultural practices I never knew. 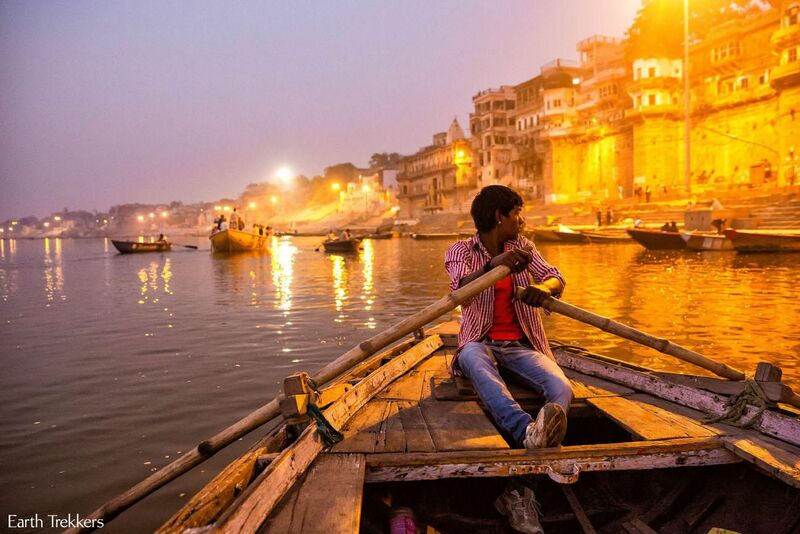 The pictures along the Ganges are fascinating. The world is a surprising place.